Mumbai beckons to expatriates not with high-style living, not with fancy offerings of five-star restaurants, nor with a barrage of world-class amenities. Instead, this city promises an expatriate life in which each day is a culturally enriching experience; for a cost that would not burn a hole in your pocket. Mumbai allows an expatriate to settle in a neighborhood that best suits not only his budget but also the kind of community he prefers. 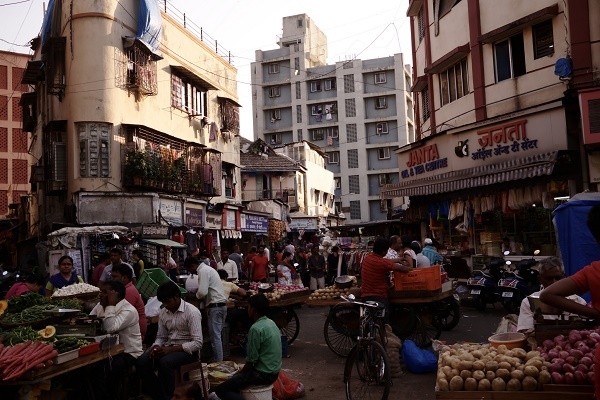 Mumbai's neighborhoods are built on waves of foreigners or migrants that settled in the city during the course of the past decades. Each community possesses a certain ambiance or ‘character' inherent of the people who originally inhabited it or the industries that were once dominant in that area. South Central Mumbai for example was once the city's industrial hub. However when the industries were replaced by recently popular sectors like IT and engineering, the area became a white-collar office location. It also houses a middle-class locality. South Mumbai on the other hand is the primary tourist and commercial destination in the city. It has the most popular bars, galleries, museums, and upscale restaurants. The more expensive neighborhoods are also found in this area. The western suburbs on the other hand are home to a large Christian community, and are also considered a good option for those who want a convenient yet peaceful area to live in. The monthly rent for a one-bedroom apartment in the city center is somewhere around 1,254 USD, while rent for a two-bedroom apartment costs about 5,298 USD. Living outside the city center is a cheaper option, one that most expatriates take. Monthly rent for a one-bedroom apartment costs around 360 USD while an apartment with two bedroom costs 490 – 8,000 USD. India has one of the most interesting food cultures in the world. It is a feast of spices, of extraordinary tastes, and well, lots of cheaper options. This is also manifested in its commercial capital, Mumbai. A cosmopolitan city in all respects, including food, Mumbai also offers an array dishes from all over the world. From its Chinese to Italian food to American fast food joints, the city would have something for your palate. But the best way to experience expatriate life to the fullest is to have a taste of the best local fare in Mumbai. You will find that the most recommended first bite of the Mumbai dishes would be from street stalls spread out all over the city, but found mostly near beaches or railway stations. For starters, you may want to check out the vada pav stands. Vada pav is basically fried potato stuffed in yeasty bread and is considered a local specialty. If you want to make a tastier meal then make sure to try pairing the pav with the bhurji which is a mash of eggs, chopped tomato, onion, chili, and lots of oil. A full meal or a thali (plate) usually costs about 3 USD in small local haunts, and it normally consists of a roti or chappati, rice, and one of many different varieties of curries and curd. A meal for two in a mid-range restaurant on the other hand would cost about 14 USD. Food basics such as milk cost 0.62 USD per liter, a loaf of bread costs about 0.43 USD, a dozen eggs cost about 0.85 USD, potatoes cost about 0.38 USD per kilo, chicken costs about 1.51 USD per kilo, while a kilo of fresh beef fillet cost about 2.59 USD. Getting around Mumbai is mostly done through public transportation. A more comfortable means of commute would have to be by taxi cabs. Taxis are generally plentiful and cheap in Mumbai, and you can choose from air conditioned and non-air conditioned ones. You can actually get around the city for just 15 to 18 USD in a cab. The smaller non-air-conditioned cabs can be picked off the streets at any time. However most of those in service are quite old and rickety. The air conditioned cabs on the other hand are actually branded services and would most likely be a better option considering the city's general climate. Initial charge is at 0.33 USD and 0.29 USD for the additional kilometers. Another option for commuters is getting around by bus. The Brihanmumbai Electric Supply and Transport provides efficient and comprehensive service and bus routes for commuters. A day pass costs about 0.89 USD. A good way to avoid road traffic is to use Mumbai's Suburban rail network. The system traverses the city's main points, and its extensive network travels along three lines - the Western Line, the Central Main Line, and the Harbor Line. Operations start at 4am and ends at 1am and a monthly pass normally costs about 12 USD. Electricity is distributed by Brihanmumbai Electric Supply and Transport, Reliance Energy, Tata Power, and Mahavitaran. The most popular and largest landline phone service provider is MTNL, while cellphone services are also provided by Vodafone Essar, Airtel, and Tata Indicom. Both MTNL and Airtel are also providers of internet services. The basic cost of household utilities cost about 61.26 USD, while add-on service like broadband internet costs about 30 USD, both paid on a monthly basis. Like any fast-rising economy in a developing city, the low cost of living attracts expatriates like bees to honey. But in Mumbai, it's more about the experience, so vibrant with life that the expats seek.